This is probably the last blog you’ll get from me this year. I’m going to be taking a break to recharge my batteries. At the moment I’m finally putting all my patient customers from my old website into the new one. When I finish this I’ll then send out emails to everyone and also a final newsletter for the year. There are currently 301 books listed and I have plenty more to list but I need to take a break. One thing I will be doing during the break is research. I’ve been planning a series of blogs on pulp magazines and have found a number of books on my shelves, as well as an encyclopedia from my sister, to help with the research, the only problem is finding the time to read, collate the information and write. I’ve done some reading and keeping thinking of more blogs to write but haven’t actually managed to finish my research and find time to start writing any of them. I do intend to do the bulk of the research and writing during this time off. On that note I bid you all farewell for this year, thank you for reading and commenting, even if you’ve only commented in your own mind and haven’t written anything. I do hope you’ll be back with me early next year. I will be on Twitter for a couple more days and you can always email me if you need me. I hope the festive season was good for you or will be good for you depending on your religion. I’m currently reading two books and hope to finish both of them soon. The first one is long awaited. A friend at the op shop got me to buy two copies for her as her story appears in it so I bought one for me as well and it’s been on the shelf a a few months. It’s called Something That Happens to Other People and is edited by Susan Feldman, Barbara Kamler and Ilana Snyder. I haven’t found my friend’s story yet but there’s a distinct possibility I might miss it in the excitement of reading the stories. They’re all stories of women growing older and are all excellently written. Each story is very exciting and addictive…so addictive I had to pick the book up and finish it instead of writing this blog. The other book is one I’ve mentioned on Twitter a couple of times. It’s called Gracie: A Love Story by George Burns. Also a very readable book and one I will finish in the next couple of days. It was written with much love and affection by a rather aged George Burns, a man who finally died at the age of 100 but was still acting at 98! Aging is an interesting phenomenom. It happens to most of us and some people get older than others. Our bodies get older despite our best efforts and whether we act older depends on who we are. One of the stories in Something That Happens to Other People is written by a lady in the middle of menopause and talks about how she deals with it. Menopause is something I’m expecting any day as I’m just at that age and I know I should be dreading it but I’m not. I am really looking forward to it as I’m so sick of having my month interrupted and having all the side effects. I do know that menopause will bring it’s own side effects but they will be different and it will be a challenge to identify them and try to counter them with medication, food or will power. Having said all of that I still tell people I’m 18!!! One thing the book highlights to me is that we should be looking after our older generations. They’ve spent a lot of time on this earth and have an accumulation of wisdom and knowledge, we should be harnessing that to make sure it isn’t lost. One thing that is so distinctive to this age is the ability to write stuff down, either in print or on the computer. This means we lose far less information than we used to. The moveable type printer was only invented around 1439, before that books were very expensive to produce having to be hand drawn and so little of the population could read. It was in the late 18th century that a machine was invented that could produce a seamless length of paper and books started to become cheaper. So, somewhere between the 18th century and now education became synonymous with books and we started relying more on books than our older people. We hear stories of people who have been found dead in their homes several weeks after they died as no-one called on them to check them. I’m suggesting we go back to our previous ways and make certain we look after them, even just call them up every day to make sure they’re still okay. Just remember…you may be old and in need of this yourself, so it’s good to set the scene for the younger generation and show them what to do to ensure they look after you. One of the tasks that must be done for any online shop is to take photographs of each item. Now, there’s debate among the online bookselling community about which is best – scans or photographs. Some people like scans as they’re easy to do while others prefer photographs. I prefer photos as you can get a 3D image and therefore can see any major problems with the spine or edges of the book. As a photo is part of the description I feel it’s important to show as much detail as possible and I feel it’s just not possible with scans to show the spine or edges. Anyway, that’s my theory and I’ve been ascribing to this theory since starting to sell books on eBay in January 2005. I took some photos today and was fixing them up just now when I thought it might be an interesting thing for people to know about. Maybe I’m wrong but I’ll write anyway and see if I get comments either good or bad. Where you take your photos will depend on your set up and where you can create very good indirect lighting. I’ve experimented with all sorts of lighting styles and staging to find my photos are not quite good enough when I take them inside. So, to further my experiments and try to make my photos better I’ve started taking my things outside. I take my little folding table and a tablecloth as a backcloth, my camera and tripod, and also boxes of books. I spend a few moments putting everything together and finally take my photos before moving everything back inside. We have a level driveway and so I’ve been doing them there with success and some amount of pleasure until today. The problem is that you need indirect lighting and that works well in the driveway if the sun is behind a cloud. I ignored the sun today and have noticed some of the photos have patches of light where the sun was spilling around the leaves. So, not only do I have to avoid going outside for my photos when it’s raining (or is still damp after raining), but I also have to avoid going out in direct sunlight…unless I can solve that problem and I do have a thought that maybe I can move everything under the garage door. I’ll look at that next time I need to take photos. The next step is to move them onto the computer, that’s easy as I can plug the camera directly into the computer with a mini usb cable and just copy them across using Explorer. Then comes the longer process of fixing them so that they’re straight and small enough for easy downloading onto a customer’s computer. Generally, when I take a photo I find the best way is to turn it 90 degrees to the camera so it’s on it’s side and then rotate the image when I open the file in Paint Shop Pro. The only challenge there is that 90 degrees is not always straight as I take photos with my distance glasses and I can’t always tell if the book is straight and have to rotate the image by something approximating 90 degrees. I’m getting good at this and often turn it the exact amount the first time but sometimes I miss and have to adjust it further. After that I crop it so only the book is in the photo, then resize it and finally export as jpeg to reduce the size of the file still further. My aim is to have a person on dial-up be able to view a photo in less than three seconds. I generally take a number of boxes of photos at once, today was a short session and I only did a box and a half but I have taken up to 200 photos in a session which is about five boxes. Yes, my back was rather sore after that. Manipulating the images only take a few seconds, probably as much as 15 seconds per image and I open as many files at once as my computer will let me to streamline the process. Going back to the scanning issue for a moment. The other reason I don’t scan is purely logistics. As I discussed (yes, okay, ranted) in previous blogs I work at the dining room table and the table is rather full at any given moment. If I scanned books I’d have to either take everything into someone else’s room, where there’s even less space, and use their computer or bring the scanner into my ‘office’ after clearing space for it. Personally, I prefer to take photos even though it looks like there’s more physical work. I would have posted this last night but our wifi was playing up and connection was very sporadic. I generally had a couple of minutes of connection followed by 20 or so minutes of nothing. I should have been doing some ironing but we only have one iron and someone else was using it, hated to interrupt the industrious one so I played games instead. This means you get all of this today. There’s a lot of discussion and interest in the Twilight series of books and movies. Now, I haven’t said anything about it until now as I’ve neither read the books nor seen the movies. I’ve had conflicting reports about them, about whether they’re good, bad or indifferent…the only overriding thing I’ve heard about them is that there’s a lot of emotion in them and a lot of very intense looks. I have seen the film clip for the song and some of the special effects are pretty slick so maybe I will see the movies one day. I do want to point out before I give the link that I am trying to maintain an open mind, but when I read the comments about the lol catz being pretty on the money I have to wonder about it. Anyway, here’s the link. The next thing for this blog is about a warehouse. It’s the Amazon Fulfillment Centre and it’s massive. I do not want to have that many books to choose from, the logistics of filing new stock and finding orders would be mind blowing. Anyway, here’s the link. The third item for now is an interview with Terry Pratchett. It does have spoilers for Unseen Academicals so if you’re like me and you haven’t read it yet you might want to bookmark it for later. I read it anyway, thoroughly enjoyed it and find it’s actually whet my appetite for the book. The Man From U.N.C.L.E. was originally a television adventures series first released in 1964. The books followed fairly close behind starting in 1965. They were a wonderful series full of tongue in cheek references, humour and great actors. Ian Fleming had a big hand in developing this series and there were references to James Bond. Napoleon Solo was played by Robert Vaughan (currently playing Albert Stroller in Hustle), Ilya Kuryakin by David McCallum (currently playing Dr Donald Mallard in Navy NCIS: Naval Criminal Investigative Service) and Leo G. Carroll played Alexander Waverly. This was the basic cast and many stars of the day had guest roles. William Shatner and Leonard Nimoy paired together two years before Star Trek, the gorgeous and glamorous Barbara Feldon (from Get Smart), Robert Culp, Vincent Price, Joan Collins, Terry-Thomas, Nancy Sinatra, Leslie Nielson, Kurt Russell and Angela Lansbury among many others. There appear to be 23 books in the core collection and others in the periphery as well as some spinoffs. For many years I thought I had the whole collection until tonight when I thought I’d talk about them and in doing some research discovered I’m quite a way off. I have numbers 1 through to 16, The ABC of Espionage and The Girl From Espionage numbers 1 and 3 and the best one of all is one I can’t name as it’s in Hebrew. And just to make collecting harder I’ve been checking the titles I have with this list on Wikipedia and they don’t match up so I have no idea which ones I’m missing. I’ll be keeping an eye out for more. I’ve read all of the English ones several times and the magic has been the same each time. I’ve also managed to pick up some recordings on VHS of some of the episodes. How I picked them up is an interesting story and I only have my part of it. Some amazing person had carefully recorded many, many series and movies from the TV. They had taken great care to remove as many ads as possible, labelling the cases with the appropriate clipping from the The Age’s Green Guide and a catalogue number. I can’t believe the amount of work and care that went into amassing this collection, when we saw them outside the house there were three big boxes and more arrived some time later. We managed to pick up some treasures including a couple of episodes of The Man From U.N.C.L.E. and Dad’s Army. I’m having a fabulous time with Twitter. For a long time I only used it for telling people what I’d listed and about my blog and other rather boring stuff. A few days ago I found a friend on it and followed her, she followed me and we had a conversation on Twitter. Much hilarity followed as we found more friends and connected with each one. I also followed some of the retweets she’d made and some retweets others had made and found myself looking at a competition run by Penguin Australia. Basically, you had to look at a page of the new Penguin reprints, tell them which one you wanted to win and why. I choose one book (the title escapes my memory) figured out a reason and when I went to enter it into Twitter found a friend had already done that one for the same reason. I decided she had a much better chance of winning that than I did and I didn’t want to compete with her so I chose a different book and won! Sadly, my friend didn’t. So, the book I chose is called Regeneration and I said something to the effect of…Regeneration, because my body has to look good some time this century. I’m now waiting rather impatiently for my winning book as I’d like to read it and find out what it’s about. My suggestion to all you bookies out there in blogland is to join Twitter and follow all the publishing houses you can find. If you happen to be on at the same time as they post their competitions then you should enter. I still have two book reviews to go until I read some more books but on reading my regular blogs I was excited by one of them and thought I’d say a few words and then let Karen do the talking. I will read almost any book I’m given, I make an exception for romance. I am not romantic and absolutely dislike romance to such an extent that it can actually destroy a science fiction or fantasy book for me. So, I’d like someone to tell me what is so different about the Lord Peter Wimsey series by Dorothy L. Sayers. I still very much like them and the romance doesn’t worry me in the least. Anyway, I think I’ll let Karen talk to you about Busman’s Holiday, one of the Lord Peter Wimsey series. Set in New Orleans before the American Civil War, this is the story of the “Free People of Color”, descended from slaves, and their French and Spanish owners. Among their number is Marcel, an artist in the making, also his gentle sister Marie and Anna Bella, a beautiful young courtesan. Anyway, that’s the synopsis and I can tell you it certainly has Marcel and Marie in it but that’s about all I can tell you. I read this in audio book and I can’t tell you whether it’s because I wasn’t interested or that it’s abridged but it didn’t make the slightest bit of sense to me. It’s not because I heard it over a series of interrupted car trips as I’ve heard a number of books that way and haven’t had that trouble before. I’m hoping it’s because it was abridged and that so much was cut out that it just didn’t make sense. If there’s anyone out there in blog land who’s read this book and can tell me what it’s about and whether it makes sense I’d be intensely grateful. Just having a bit of a ramble tonight. I have two books to review and a third coming in a day or so when I have enough time in the car to finish it – less than one cassette side to listen to. I would review one of them now but I’ve landed myself a guest blog on someone else’s blog and I should start typing that up while I have some thoughts. If they like it and put it up I’ll put a link to it here. We’re going away for some holidays soon and I’m desperately trying to get books listed. My aim is to have a minimum of 300 listings by 25th December and if I can do 10 per day I’ll get there. 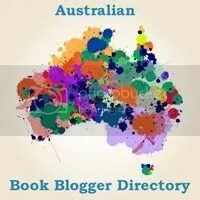 I did twenty books today mostly from the following titles/authors: Harry Potter, Red Dwarf, Robert Pirsig, Agatha Christie, Neil Gaiman, Super Food Ideas and Australian Women’s Weekly Menu Planner. And others from Doctor Who, True Crime, Dirk Bogarde, Jasper Fforde, Diana Wynne Jones, Glynse Ward and my personal favourite – Afferbeck Lauder. Just because I’m way too tired after the book stall yesterday I’m giving you another booklist. This is probably the list that started me searching for all the other book lists around and I think I got it from Facebook. Anyway, I’ve been good and tagged the ones I’ve read with an ‘x’, I’m also intensely curious how many everyone else has read so please put your total in the comments field. I really don’t know where the BBC gets their information from as I’ve read 40 of this list and there’s another few I may have read but so long ago that I don’t recall and I suspect I can’t count Shakespeare but I did manage to get halfway through. The one thing this list totally highlights for me is that I’ve read more British books than American books. Where do you fall in the list? The BBC believes most people will have read only 6 of the 100 books here. Copy this. Look at the list and put an ‘x’ after those you have read. Tag other book nerds.